Visit the beautiful city of Monção and do not hesitate in tasting the “vinho verde” (green wine), Alvarinho, on your way through the region of Minho, Portugal. 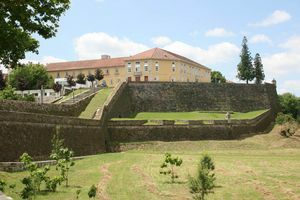 Monção, just as its neighbour Valença do Minho, was an important Portuguese fortress on the frontier with Spain. This old city, which does not have many tourists, has an attractive old stretch where lie the remains of its 14th century fortresses, which guarded the river from high up. However, the big lure of the city is its Vinho verde de Alvarinho (Alvarinho green wine) and the modern spa centre known as Termas de Monção (Monção Baths). On the Praça Deu-la-Deu Square there is a beautiful fountain crowned by a namesake statue with the hand on its chest, gazing with desire to the cafés; while in the North end is the Senhora da Vista bastion, which offers views toward Spain. Nearby stands the Capela da Misericórdia Chapel, with a coffered ceiling roof with painted cherubs. Eastern from this, is found the paving urban stretch. 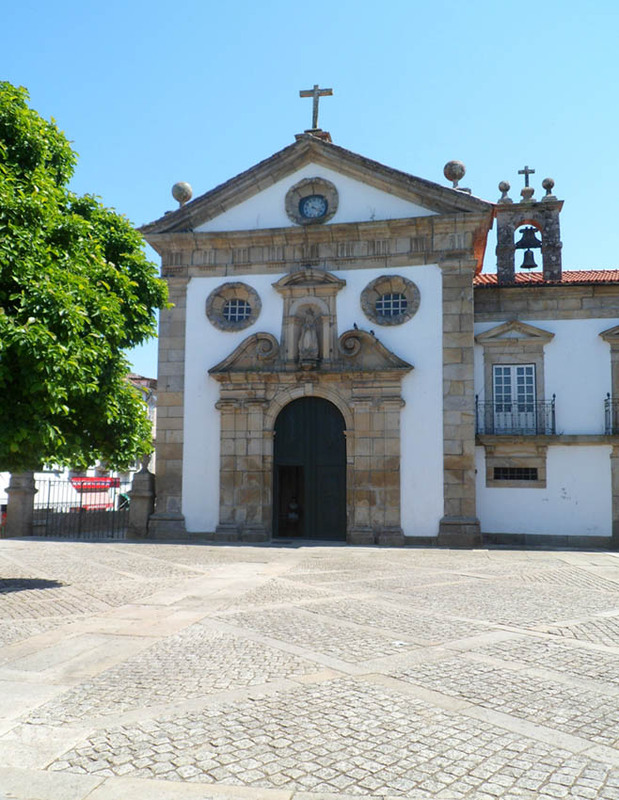 If you walk by the Rua da Glória Street, passing two blocks, you will reach the beautiful little Igreja Matriz de Monção (Parish Church), with Romanesque origin. There is buried Deu-la-Deu, a Monção inhabitant which facing a sieged of Castilian soldiers on 1368, managed to get among the hungry inhabitants enough flour to make some bread loafs, and throw them to the enemies to give a feeling of plenty with the message “if you want more, let us know”. After this, the soldiers lost faith and fled. Some of the most important festivities in this city are the Feira do Alvarinho (Alvarinho Fair), celebrated for five days at the end of May with music, folklore dances and plenty food and drink; the Festa do Corpo de Deus, which is the biggest festivity in Monção and takes place the ninth Thursday after Easter; and the Festa da Nossa Senhora das Dores, a big festivity celebrated for five days on the third week of August, headed by a procession. If you are on your way through this city, it is worth diverting about 5 kilometres South to visit the Palácio da Brejoeira Palace, one of the most spectacular palaces of the region.